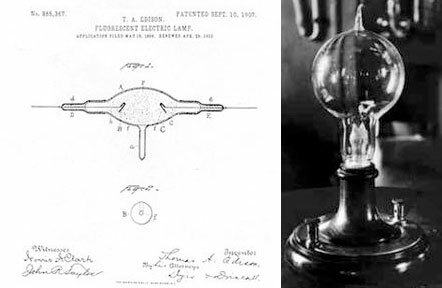 The classic Thomas Edison’s light bulb design has changed relatively little over the past 130 years, a testament to aesthetics and tradition. The design has also come to signify the genius of a new idea…the lighting up of something brand new. Now with the mandated use of compact fluorescent light bulbs, what is the message here? The compact fluorescent light bulb (CFL) was invented in response to the 1973 oil crisis. Though these light bulbs have been around for some time, it’s only in recent years that they have caught on as America and the rest of the world seek to become energy efficient and independent. CFL’s consume significantly less energy and last about eight times as long as the traditional incandescent light bulbs. To encourage the use of these more energy efficient bulbs, international governments have banned or scheduled phase outs of the Edison style light bulb. Many European countries began the phase out in 2009, and the US is set to phase out in 2012. 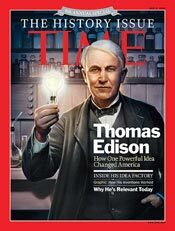 Edison, who ushered the world into the energy age, was no stranger to energy efficiency and energy independence. 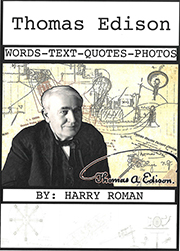 Indeed, from a conversation with friends Henry Ford and Harvey Firestone comes this Thomas Edison quote. “We are like tenant farmers chopping down the fence around our house for fuel when we should be using Nature’s inexhaustible sources of energy — sun, wind and tide.” He always searched for ways to make his inventions more efficient, especially his new electric power stations, squeezing as much energy as possible out of his coal fuel.Edison’s electric vehicle was conceptualized for the same reasons too. 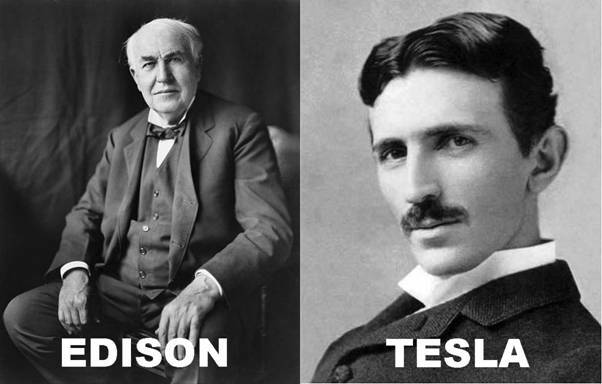 For a man of his time, Edison was surprisingly forward thinking when it came to energy efficiency. 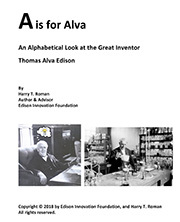 All in all, Thomas Edison would approve of this new technology using electronically generated light, and if alive today, he would be in there with the competition, coming up with his own lighting innovations. However, the classic light bulb shape will not go quietly. We are seeing compact fluorescent bulbs and LEDs encased in the classic rounded bulb shape—perhaps a compromise to the strong visual and dare we say emotional [visceral] attachment the rounded bulb image has inculcated in the psyche of billions of people worldwide. We strongly associate electricity with the very form of the light bulb itself. 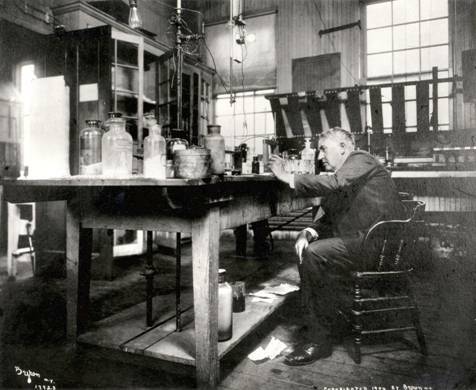 Just for the record, Edison did dabble in florescent lighting in the late 1890s, receiving a patent in 1907. The really fascinating aspect of his invention was he used X-rays as the excitation technique. While this invention was never commercialized, it demonstrates his ability to conceive of applications from new scientific areas of study. X-rays were accidentally discovered in 1895 by Wilhelm Conrad Roentgen. 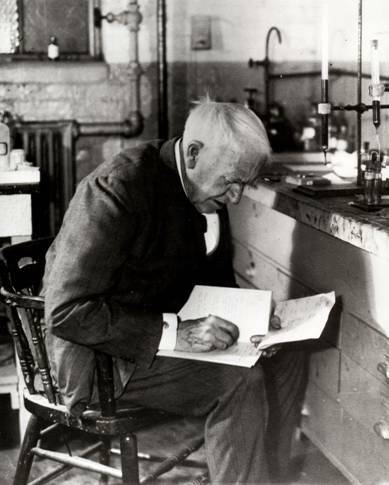 Edison filed his patent on X-ray based fluorescent lights in 1896, using a unique tungstate of calcium or strontium [tungsten compound coatings] as his fluorescing or light giving materials. 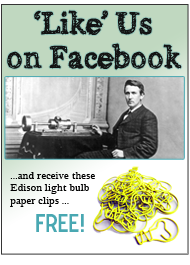 This entry was posted in Inventions Edison Would Love and tagged Edison Lightbulb, Edison Muckers, edisonmuckers.org, invention, lightbulb, The Changing of Edison’s Light, thomas A. Edison, Thomas Alva Edison, thomas edison, Thomas Edison lightbulb, Thomas Edison Muckers on August 30, 2011 by Edison Innovation Foundation. 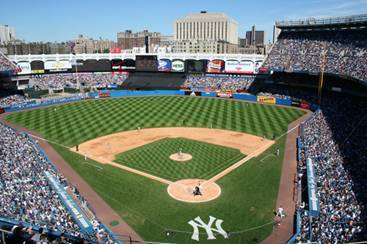 Everyone knows the saying that Yankee Stadium is the house that Ruth built, a tribute to the iconic baseball player whose charisma and slugging power were legendary. His rise to prominence coincided with the rise in status of the great ballpark. 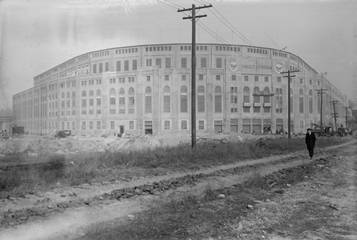 Most folks however, don’t know that Thomas Edison’s Portland Cement was used to actually build the world’s most famous ballpark…about 68,000 bags in fact…..but, it wasn’t all he did with concrete. 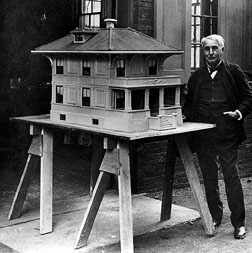 Edison can be considered the father of pre-fabricated housing. 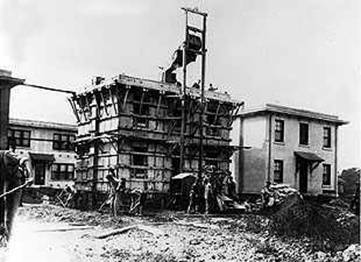 He built a variety of concrete houses using complex molds and arrangements that allowed his workers to continuously pour a complete home in about six hours. A number of these homes exist today. 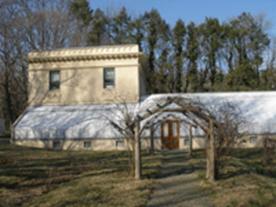 His technology was licensed to builders, with several New Jersey housing clusters built. 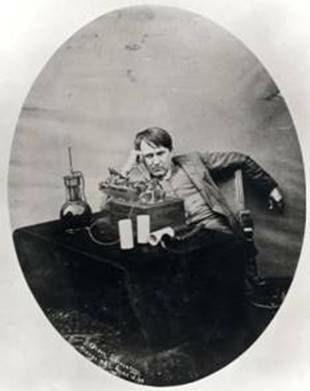 Edison also thought about a wide variety of other uses for concrete, including furniture and phonograph cabinets. The garage and potting shed at Edison’s historic home, Glenmont in LlewellynPark in West Orange NJ are classic examples of his concrete building technology. 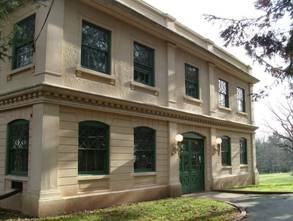 Both structures were built about 1908-1909, and are in fine structural condition today, toured by many visitors to the site each year. The garage houses a variety of historic automobiles owned by the Edison family. Edison’s work in concrete changed the cement industry as well. He redesigned the kilns used to make the concrete and increased their size radically, in most cases doubling their length. A great deal of the technology he used for concrete-making derived from his failed efforts to crush large scale rock formations to extract iron ore.
Editor’s note:Very soon, there will begin a serious fund raising campaign to rehabilitate the garage and restore the Edison era automobiles there; including three electric vehicles, and the personal chauffer-driven car of Edison’s son, Charles, who used the car when he was governor of New Jersey [1940-44]. This entry was posted in Did You Know? and tagged Edison Muckers, Edison Only Links, innovation, invention, muckers, science, technology, the house that ruth built, The House that Ruth….and Edison Built, thomas edison, yankees on July 13, 2011 by Edison Innovation Foundation.